Every Thursday Night 5pm -9pm from Thursday 1 November 2018 – 25 April 2019. Where are the markets on? Can I buy alcohol at the markets? Yes - you can enjoy a range of local wines and beers at the Sand Bar’s Market Bar. The Sunset Markets are a no smoking event. Smoking is permitted in the car parks and on the public beach. Does the market open if it is raining? Are there cash or ATM facilities on site? Cash withdrawal facilities are situated very close to the market. The closest one is located outside the Rip Curl store in the Luna Shopping Mart adjacent to the markets on the west side of the West Coast Highway. Are there facilities for people with different abilities? ACROD parking is available at the northern and southern carparks on the Esplanade. Whilst access to the market is no problem, there is no direct wheelchair access to the beach. Disabled toilets are located adjacent to the event site. Can I bring my dog or pet to the market? Your furry friends are most welcome at the market. They must however be on leash at all times and not permitted on the beach. How many stalls are there? A little bit of PARKING & TRANSPORT info to help you get into the markets each Thursday! 🚗 Parking is available in the Manning Street Multi-story Carpark (first 2 hours are FREE). 🚙 Street parking is available in the surrounding area but please follow onsite street signage (infringements and wheel clamping by private land owners apply). 🛑 Parking in the Post Office carpark will result in wheel clamping by the owners. PLEASE DO NOT PARK IN THIS CAR PARK if attending events in Scarborough. 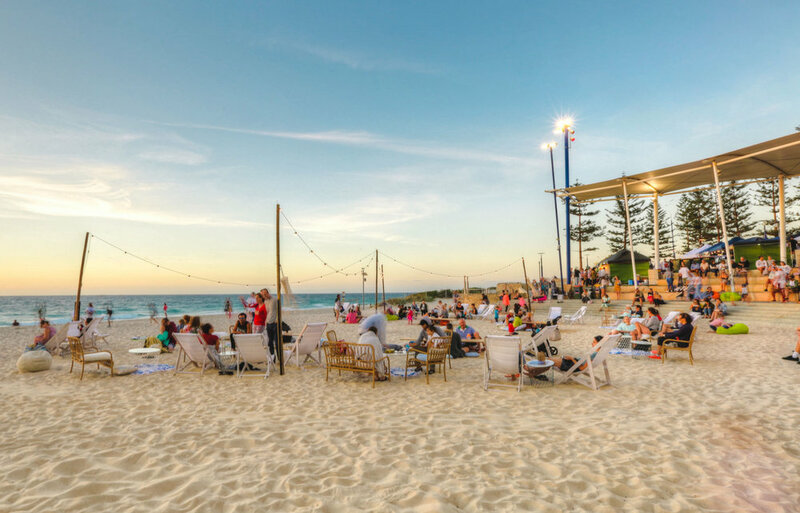 🚗🚶🏻‍♀️🚶🏼‍♂️Additional parking available at the South Trigg Carpark with the added benefit of a picture perfect stroll along the coastline to the markets! 🚕 Uber drop off suggestion: the eastern side of West Coast Highway to avoid any congestion at peak times. 🚌 Buses (410 and 421) run regularly from the Stirling Train Station from 5pm. For more information contact Transperth Info Line 13 62 13 or plan your journey at www.transperth.wa.gov.au. What do I do if I require first aid? Head straight to the Information Tent and a trained first aider will attend to you. If its an emergency please call 000 or 112 immediately. What do I do if I wish to share my experience of the Market? Scarborough Sunset Markets welcomes all feedback from patrons and works hard to continually improve all facets of the Market’s operation. Your feedback is appreciated. Please contact events@kinnandco.com. We have a lost and found register at the Information Tent. For information on lost and found items outside market hours please contact events@kinnandco.com. What kind of food is sold at the markets? There are delicacies from a variety of countries, Vietnamese, Thai, Indonesian, Chinese, Sri Lankan, Indian, Italian, Mexican, French, Portuguese, NT Outback and Malaysian just to name a few. Please see the Information Booth if you have any particular dietary needs. We have Halal & vegetarian stalls & many dishes can be made gluten free.